8th day of Marpenoth 1375 Anee studied Halaster's notes further in preparation for her first attempt at activating the control panel. She cast a divine insight spell on herself and spent eight hours poring over the Mad Mage's half-insane, half-ingenious wall scribblings across all three caves, making sure that she had the correct combinations out of over seven hundred nonillion permutations the 36 runetiles would make when inserted into the 24 carved slots. As soon as Anee finished with her research, the whole party trudged the path up to the hilltop. As the group looked on in anticipation, Anee anxiously selected the first set of tiles from the satchel. With a silent prayer to her goddess Mystra, the archivist carefully inspected each slot on the control panel while admiring Halaster's creativity and cursing his ability to confound, all at the same time. In what seemed like an eternity, Anee carefully placed the chosen tiles into the panel. 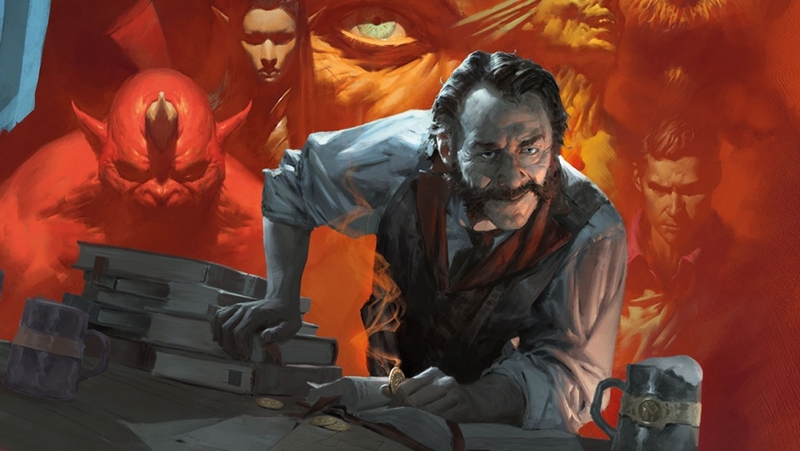 The party waited with bated breath for any sudden release of magical energy that could either grant them control over the whole of Undermountain or spell doom for the entire Sword Coast North. 9th day of Marpenoth 1375 Repeating the previous day's routine but with much less enthusiasm, Anee afterwards attempted another combination. Although she could observe no effect, she was convinced that that combination was supposed to open a new portal (as teleportation circle) or close an existing one (as seal portal) anywhere in Undermountain, as long as the portal is known to the user. However, something else was holding the Runestone back and could not manifest that power on that day. She also noted that the areas the party occupied (Shadowdoom, the Lost Level, and the Runestone Level itself) were excluded from this effect (and probably other effects as well). What differentiates them from the rest of Undermountain was unclear. 10th day of Marpenoth 1375 Anee was able to successfully disrupt a portal (as scramble portal) using another combination. She also noticed that the control panel automatically communicated the Runestone's approximate power level to its user, which is useful in determining when it might discharge its excess magic. It could also alert the user when any portal is used. 11th day of Marpenoth 1375 Another successful attempt by Anee to activate the control panel. This time she was able to use an analyze portal effect on one of the portals known to her. 12th day of Marpenoth 1375 Anee was able to determine the combination which grants a greater spell immunity effect that is centered on the control panel. But since the Runestone was on low power, she was not able to manifest the effect. The party then deduced that the Runestone stores and expends power as spell levels, but they could not tell its rate of recharging with certainty. 13th day of Marpenoth 1375 To make use of their time more efficiently (and there seemed to be no immediate threat anyway), the party decided to split up. Keli and Seth escorted Anee while she studied the writings, while the rest went back to Halaster's cave-quarters near the entrance of the cavern in order to engage in some magic-item-crafting activities. The second group had barely begun with their crafting when three earth elementals earth-glided out of the cave walls, similar to the initial encounter in this area a tenday prior. Rokh and Kiira each engaged an elemental in melee and Anya trapped the third inside a resilient sphere. 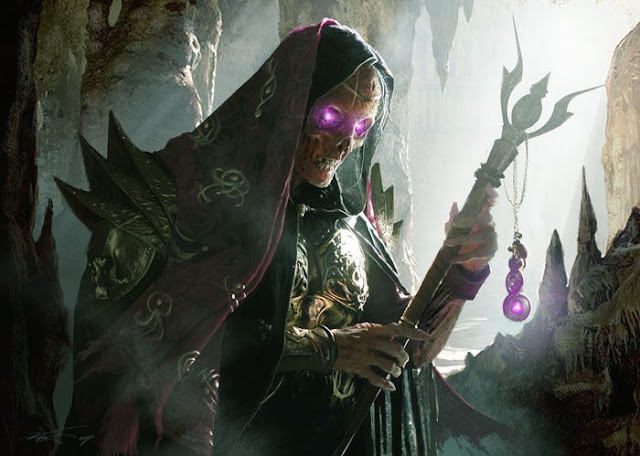 As soon as the two clerics were done with their respective opponents, they turned their attention on elemental number three promptly destroyed it. 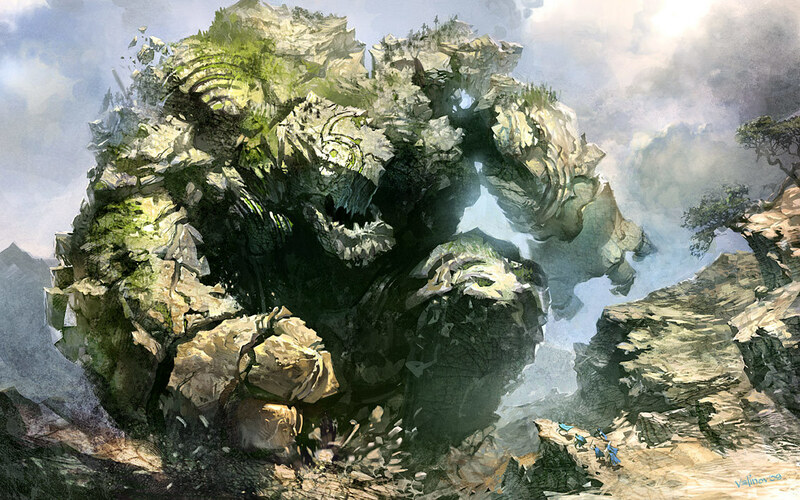 However, the rocky debris left by the destroyed elementals merged into a single but much larger version. The group left the cave in haste but the guardian did not pursue them. Anya sealed the cave entrance with a wall of stone. Rokh deduced that Halaster's automatic security system probably had the guardians respawn after ten days of being destroyed, and that included the earth elemental-stone golem hybrid that guarded the control panel. They regrouped and made plans to formulate a new strategy. The group decided that, since the control panel only had very few charges left at this time, they would let it recharge for ten days before Anee made another attempt to unlock one of its powers. In the meantime, she would focus on studying Halaster's notes within the caves. Seth set up a new base camp at the foot of the hill, creating stone chairs and tables for the benefit of the item crafters, with his lyre of building. 23rd day of Marpenoth 1375 After 10 days of preparation, Anee returned to the control panel, escorted by Rokh and Kiira. Rokh had prepared a gate spell and scribed two summon elemental monolith scrolls that he gave to Anee, one of which she cast just before entering the depression around the hilltop. The plan was to have the summoned earth-element monolith push the stone golem guardian into a gate and leave it adrift in the astral plane. The trio waited for the guardian to appear. Rokh wanted the earth monolith to glide into the hill and seek out the guardian, but since none of them could speak Terran, they could not instruct it to do anything. 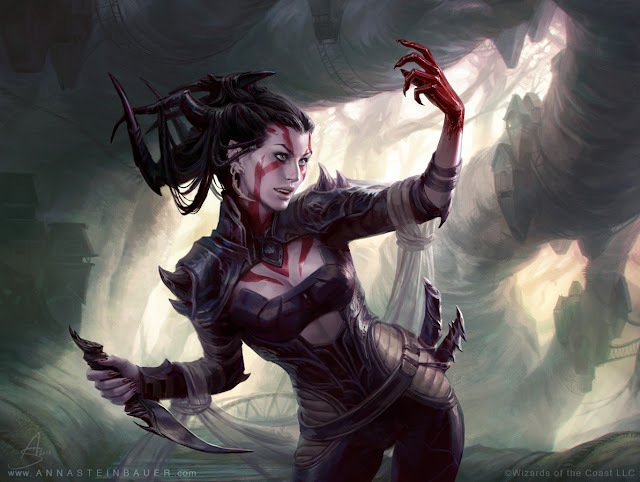 Kiira attempted to taunt the guardian by tapping the control panel lightly with her warhammer, but the creature was still a no-show. After 17 rounds the earth monolith's stay had expired and Anee proceeded with her experiment. The control panel indicated that the Runestone was moderately charged. And this time, Anee's combination of runetiles resulted in a create undead effect. However, since there were no viable corpses around the cavern, the effect could not be directly observed. 24th day of Marpenoth 1375 Anee, Rokh and Kiira returned to the control panel. The stone golem guardian was still nowhere in sight, so Anee cautiously approached the control panel to try out another combination. Unfortunately, her attempt misfired and caused her to become dazed [or staggered]. That's when the guardian decided to show its ugly mug. The stone golem-earth elemental hybrid emerged from the ground as Kiira helped Anee stagger back to the trail, the dwarf taking a couple hits from the monster's stony fist. From the edge of the hilltop they executed the plan: Rokh placed a gate right beside the guardian at the edge of the hilltop and Anee summoned an earth monolith on the opposite side and instructed it to push to guardian into the gate. The two gigantic earth monsters pushed at each other for several rounds, each one barely making any headway against the other. Eventually the monolith proved the stronger with its Gargantuan girth and pushed the golem guardian slowly into the gate to the astral. The divine trio cheered on until Anee realized a flaw in their master plan: gates have no effect within an active dimensional lock spell, such as the one present on the hilltop. Seeing no other recourse, Rokh and Kiira engaged the guardian in melee. With the earth monolith's help, they were able to defeat the guardian in a couple of rounds and, once again, its debris was absorbed by the ground. Then suddenly, they fell upward.